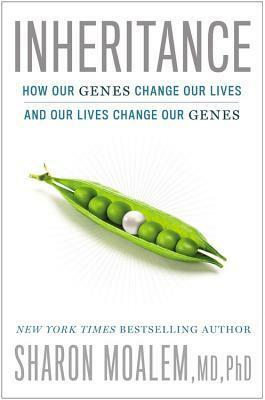 This popular science book is a broad overview of genetic and epigenetic inheritance, basically exactly what the subtitle says. The introduction oversells the epigenetic focus (how life experience or environment can lead the changes in DNA that are not strictly sequence-based) because the majority of the book does stay within the realms of traditional sequence-based inherited genetic variation. Moreover, given Moalem’s specialty, the focus is not so much on inheritance itself, nor even the specific mechanisms of inheritance. Instead this book really comes down to these ideas: 1) There are a lot of genetic disorders. 2) Individually these disorders are often rare. 3) It is fairly likely that any given individual though will have some kind of disorder. In other words, everyone is unique; most of us have unique rare disorders of some severity or another. The truth of this may surprise some, as may the implications: namely that any health advisories are tailored for the ‘average population’. But no one is average. So not everyone can take the same amounts of medication. Eating high amounts of fat may be great for some people. Eating any fruits may be really bad for someone else. Running is good exercise for your spouse, it might give you a heart-attack, etc. “Inheritance” thereby sweeps across a wide realm of human genetic variation, threading topics together under common themes. Moalem avoids getting bogged down into a lot of detail, making this book of greatest interest to the general public with medical interests, or those in particular who find medical anomalies interesting. For those that are really ignorant just how much variation there is to life, and how easily life can go wrong, this book is an excellent primer, and even for those with a background in medicine or biology, many of the specific rare disorders in the book that Moalem discusses may be new to them. Personally I wish that given the title he had delved a little more in-depth, particularly into the mechanisms of inheritance, and variations across life. The book is squarely human- (or at least mammalian-) centric. Moalem’s style is very light-hearted, at times veering into stories whose connections to the actual topic at hand aren’t apparent, but for its intended audience, I find the style appropriate. Finally, I appreciated him bringing up discussion on how studies of genetic disorders allow us to have a firmer grasp of how ‘normal’ biology occurs. An episode of the X-Files I adore, “Humbug” addresses several of the issues covered in “Inheritance”, including the speculative ones regarding the increasing genetic technologies available to our society. At what point will we be able to eradicate all genetic disorders? What understanding will we lose in the process? How do we decide what is a serious enough disorder? Though briefly touched upon, the book could have spent more space covering the implications of our increasing knowledge and technological powers.